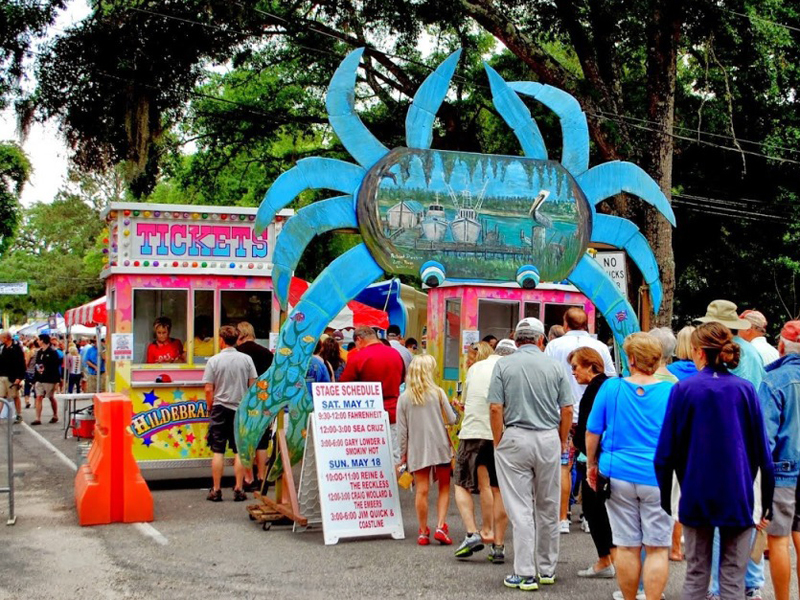 One of the absolute most scrumptious festivals of the year returns this May with the 36th Annual World Famous Blue Crab Festival, taking place on May 20 and 21, 2017. The festival has come a long way since its commencement in 1981, when it was just a small gathering of local folks. The Blue Crab Festival has grown in such a way that people from all over the country come to take part in this decades-old tradition. Come out to the Little River waterfront for this celebrated event, which showcases the culture, cuisine, and atmosphere of this charming coastal town. Year after year, the Blue Crab Festival draws in crowds of up to 50,000 visitors, making it one of the most-visited festivals in the Southeastern United States. Approximately 300 arts and crafts vendors and specialty food vendors will line the grounds, and live entertainment will keep you grooving to the sounds of the beach. Acts scheduled to perform at the 2017 event include Blackwater Rhythm and Blue Band, Carolina Soul Band, Gary Lowder & Smokin' Hot, and Jim Quick & Coastline. Discover how real seafood should taste when you visit any of the specialty food vendors on-site. Sample selections of fish, shrimp, and you guessed it, crab, as you walk through the festival grounds. There will be options for those who choose not to partake in seafood as well. Don't forget about the little ones- A children's play area will provide countless hours of fun for all of the smallest members of your group! The Blue Crab Festival's chief purpose, say organizers, is to raise awareness and funding for many local charities and local organizations. On May 20 and 21, visit Little River, South Carolina, just north of North Myrtle Beach to experience the sights, sounds, and most importantly, the tastes, of coastal Carolina. Experience local culture at its finest during your next Myrtle Beach vacation rental!